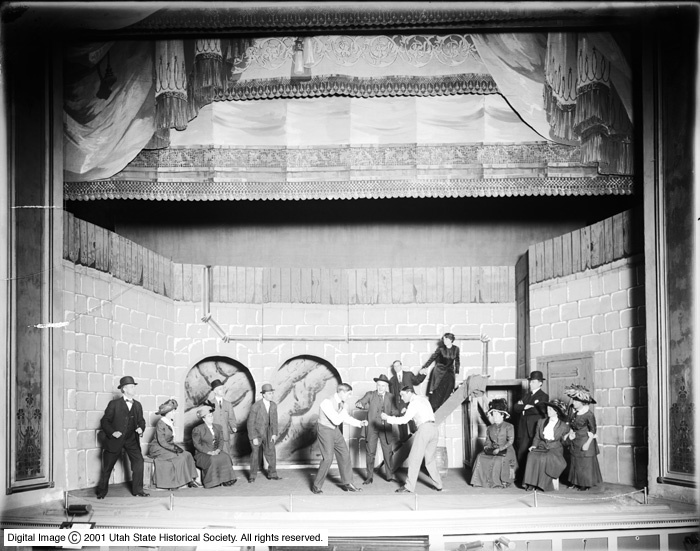 Description Image shows a stage production at the Garrick Theater. Two men are fighting while other cast members look on. Rights Management Digital Image © 2001 Utah State Historical Society. All Rights Reserved. Source Physical Description Three small cracks in glass plate.